Our school values are central to our students' wellbeing. Our school offers specialist activities that promote health, well-being and self-esteem. Show Respect – this is about how we talk to and treat each other in this school. It’s also how we respect property (yours and others), respecting our school and our environment. Have A Go – don’t give up before you even start! Have a go. Take the risk of being wrong. Mistakes are how we learn. Keep Trying - sometimes things are hard, so we have to keep trying. Sometimes things are REALLY hard, but we still keep trying. We don’t give up. We ask for help. Only when we know we have tried our hardest, do we really know we have done the best we can. Bounce Back – life is hopefully full of lots of good things, but sometimes we can experience difficulties, frustrations, disappointments and hard times. We need to be able to build our resilience skills and bounce back from these challenges. Resilient children who can “bounce back” have much better coping skills to equip them for life. Work As A Team -when we work cooperatively and help each other, we are learning how to get along with each other. People who are good at getting along with each other, are good at making and keeping friends. 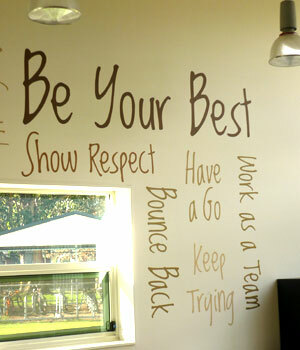 BE YOUR BEST! This means be the best that YOU can be! It’s all about high expectations of ourselves in everything. It’s pride in yourself and pride in our school. Our School Song reinforces our school values. You can download a copy of our Guthridge Primary School Song by clicking here. 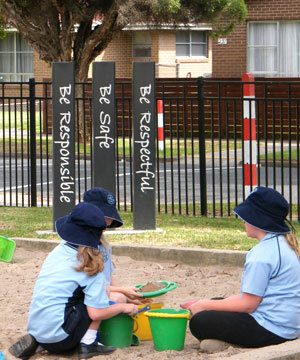 We have three behaviour expectations which encompass all of our school rules. So easy to remember and practise! 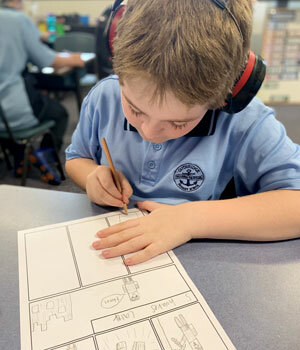 The school has a Student Well-Being Officer availablel three days a week and provides a range of services to students and parents and educational leadership in the area of student well-being/resilience and connectedness to school. Students who have good social skills will be more successful. Our Whole School Approach to Social Skills aims to teach the life-long skills our students will need in order to get along with each other, not just while they are at school, but out in the community. Every class F-6 participates in the “Bounce Back” program written by Helen McGrath and Toni Noble. This involves a weekly lesson focusing on a particular aspect of social skill development and is imbedded in our learning throughout the year. Breakfast Club is organised by our Student Wellbeing Coordinator with the assistance of two Red Cross volunteers. It is available three mornings a week and is subsidised by Red Cross and School Council. Breakfast is provided at no charge and is available to all students to give them a healthy start to their day. Each year, children in Foundation undergo a full medical check-up by a school nurse from the Department of Human Services. The School Nurse runs an information session for Foundation parents prior to the annual medical checks. He / she also follows up on children in other grades previously identified with medical concerns. Any other children may be referred by a teacher or at the request of a parent. This is a free service. 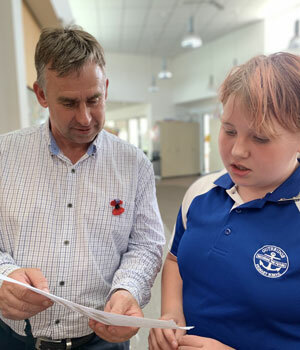 Personnel to assist schools in both Education Programs/Assessments and Student Services (Counselling and Guidance / Speech Pathology) are available, after consultation with the school.